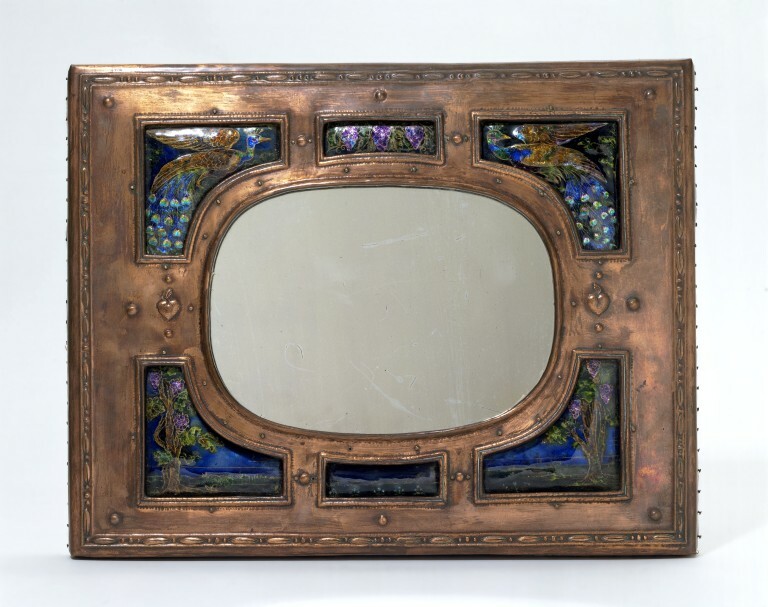 This mirror has the combination of copper and translucent enamel that was a feature of metalwork in the Arts and Crafts style. The textured hammered copper surface is also typical of the style, which celebrated hand-working techniques. For a number of years, she was vice-president of the Craft section of the Society of Woman Artists. She produced a large amount of work, including jewellery, for the Women's Social and Political Union (WSPU). The Pankhurst family founded this militant suffragette organisation in Manchester in 1903. 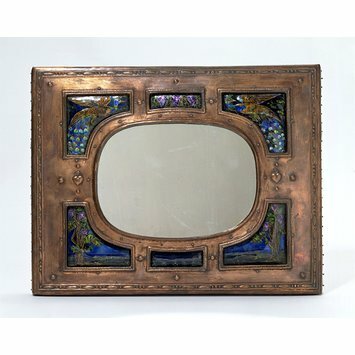 Copper mirror frame housing an oval mirror in the centre, surrounded by enamel inserts depicting peacocks and vines. Oval mirror in a frame of enamelled copper panels, London, 1900-05, designed and made by Ernestine Mills.